Manor Wildlife Park, currently holds three male white rhinos, Zamba, Zuberi and Jambo. The park is part of a European breeding programme, which is essential in safeguarding future populations of this larger than life animal. The most numerous of all the world’s rhinos, 93% of the world’s southern white rhinos can be found in South Africa, with much smaller populations being found in Botswana, Namibia, Swaziland, Zimbabwe, Zambia, Uganda and Kenya. The southern white rhino’s preferred habitat is grassland and open savannah woodland, though they can sometimes be found in regions of swamp. As with all species of rhino, the southern white rhino suffers greatly from poaching for what some believe to be its most prized asset, it’s horn. 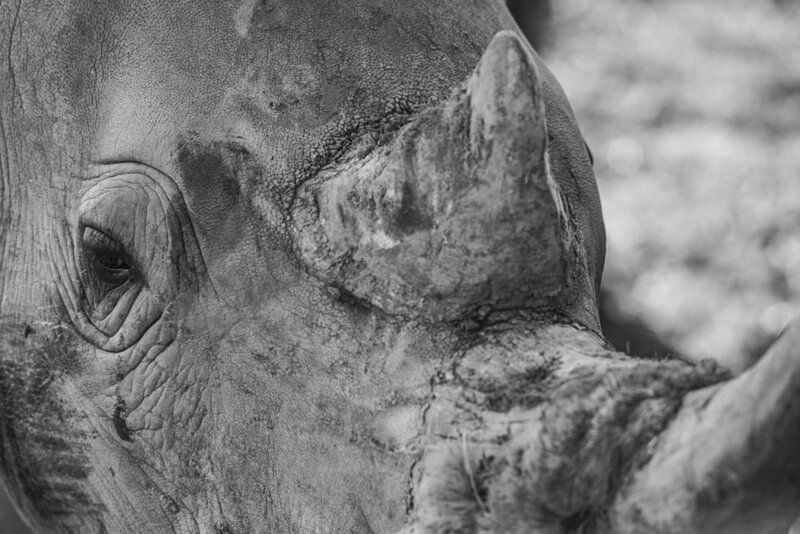 The trade in rhino horn both for medicinal purposes in Asia, and in the Middle East where it is revered for it’s beauty drives the illegal poaching of these animals, and it’s cousin the black rhino, is on the brink of extinction due to these pressures. As well as poaching, they also suffer from continued habitat loss and urbanisation.